We’ve all heard stories about how sleep deprivation can hurt your mental and physical health. Authorities have used it to get information out of murder suspects or torture prisoners, and the effects of lack of sleep are said to make you feel like you’re going insane. Parents of young babies know what it is like to cry out of frustration caused by lack of sleep. However, it’s hard to understand exactly how diverse and varied the effects of long-term lack of sleep can be until you start experiencing them in real life. If you’ve recently begun suffering from a sleep disorder that keeps you from getting enough rest at night, you may also be experiencing health problems that initially seem unrelated. 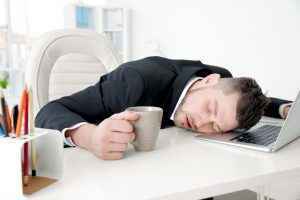 With a deeper understanding of how sleep deprivation hurts every system in the body, you may start to realize that these problems are directly caused by lack of rest. Everything from weight gain to poor motor function can be a symptom of lack of sleep. As time goes on, the symptoms can accumulate, causing you to begin to suffer from multiple issues at once. Here are some important facts about sleep deprivation and how it hurts the key physical and mental systems in the body. There are two distinct kinds of sleep deprivation: acute and chronic. Acute sleep deprivation can be situational and go away on its own when the issue resolves itself. For example, if you lose your job and have increased stress about money, you may find it hard to sleep properly. Once you get a new job and get back on track, you should be able to sleep again. Causes of chronic sleep deprivation are not as easy to solve without medical help. The sleep disorders that cause you to lose sleep over a period of months or years are typically due to an issue within the body that a medical professional will have to diagnose. While many researchers have delved into learning more about sleep deprivation and how it hurts people, it’s hard for them to determine how badly long-term sleep deprivation can affect a human in an ethical way. Research in animal subjects has shown that long–term sleep deprivation can cause death, and researchers assume that humans would suffer the same fate if left without sleep for long enough. However, in extreme cases, the human body is likely to get rest through what are known as microsleeps. These are periods you may have experienced when you are exhausted and stuck in a boring meeting or listening to a dull lecture. You suddenly jerk awake, realizing you’ve fallen asleep, but only for a few seconds. Because the body will naturally do this when it feels exceptionally exhausted, there’s no ethical way for researchers to keep a human subject from getting rest. One of the reasons you might find it hard to do complicated tasks when you’re sleep deprived is because your brain is taking more energy to process information. Research has shown that subjects who are sleepy use more energy to fight the symptoms of sleepiness as they try to think. Some say that when you are sleep deprived, it has the same effect on your body as being drunk. This might explain why tasks that require brute force seem easier to handle then doing a complicated mental problem when you’re tired. Diabetes and obesity are two of the most serious medical conditions that can come from sleep deprivation. While it is not a medically accepted fact yet, research has shown that people who suffer from sleep deprivation can end up with Type 2 Diabetes. This side effect of lack of sleep is likely since the body processes glucose in a slower fashion when it doesn’t get a full eight hours of sleep. New research studies are also finding links between mental health conditions and chronic sleep deprivation. If you are suffering from sleep deprivation due to sleep apnea, a CPAP machine can bring you the relief you need to get rest. You’ll also need a CPAP cleaning device to help keep the machine working properly over time. With a CPAP cleaner and sanitizer, you can eliminate any mold or bacteria growth and get full relief from your symptoms. 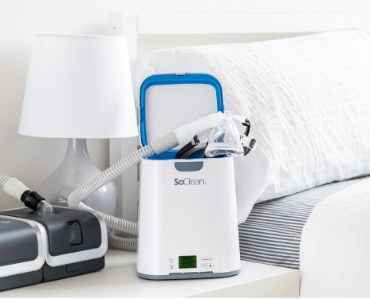 To find out more about how a CPAP cleaner and sanitizer works, click here. What is the Difference Between SoClean and SoClean 2?